* not applicable if used with a discount or voucher code or on sale items. Minimum order value of £300.00 applies. Full Terms. Established in 1966, Philip lang cycles is a 4th generation family run bike business based in Glasgow's East End at 163 Gallowgate, on the main route from the city centre to the commonwealth venue, the Sir Chris Hoy Velodrome. The bicycle shop is currently run by Gren and sons Andrew and David Lang, who have a combined 36 years of experience in the cycle industry. We are all very knowledgeable about all things bike and will be able to help with any bike-related questions you may have. Currently we stock a full range of budget to high end bikes, from 12” kids bikes to a wide array of adults cycles in our newly renovated 6000 sq ft showroom. We always have at least 300 different bikes on display including kids favourites Raleigh, Bumper, Cuda and Kidimoto. We also stock a large range of BMX bikes from leading brands like Haro, Premium, We The People, Social, Blank, Rooster and Urban Culture. Our adults range includes bikes from Merida, Forme, GT, Mongoose, Diamondback, Claude Butler and our electric bicycles Batribike, many of which can be purchased with 0% finance in-store. Also in our range is a huge variety of accessories from Altura, Limar, Giro, Bell, Lake, Knog, Cateye, Jagwire, Shimano, Kenda, Schwalbe and many others. We are a busy bike shop and carry out many types of repair from a simple puncture repair to a full bicycle service at very reasonable prices, aiming to get your bike back to you within 24 hours. We also offer a drop-in service for emergency repairs which we will try to do while you wait. Around 1000 customers each year take advantage of our christmas club where for a minimum £20 deposit we will store a bike until Christmas eve and you can pick it up 100% built and ready to cycle on the big day. Should you need any assistance or have any questions about Philip Lang Cycles, whether an in-store inquiry or a question about shopping online, please don't hesitate to contact us. We support the four major tax-free bike for work schemes: Cycle Scheme, Halford’s Cycle 2 Work, Bike to Work and Cycle Plus. Just find out which scheme your employer is partnered with and we can help you choose a bike and any safety gear you might need. At Philip Lang Cycles we aim to deliver your new bike 99% built, in a custom bike box. All you will need to do is straighten the handlebars. It's as simple as that. The gears and brakes will have been set up by one of our skilled mechanics and the bike will be ready to ride in minutes. This option is available free of charge on all bikes over £300 but bikes under this price have the option of being fully built for a charge of £20. If This option is not selected the bike will be delivered flat packed and will require assembly. FRAME:	6061 series double butted and technoformed aluminium FORK:	Sun..
FRAME:	Carbon - XC focussed (approx. 1.35 kg - M). Aero profiled down tube, leaf spring p..
FRAME:	Carbon - XC focussed (approx. 1.35 kg - M). Aero profiled down tube, leaf spring pro..
FRAME:	XC focused lightweight. 6066 triple butted aluminium with aero profiled tubes. BB92.. Completely new for 2019. The design considered both riders and mechanics, delivering a pl..
Dual density microfibre with a shock absorbing core. &nbs..
Super lightweight 29g carbon cage, with easy access design. 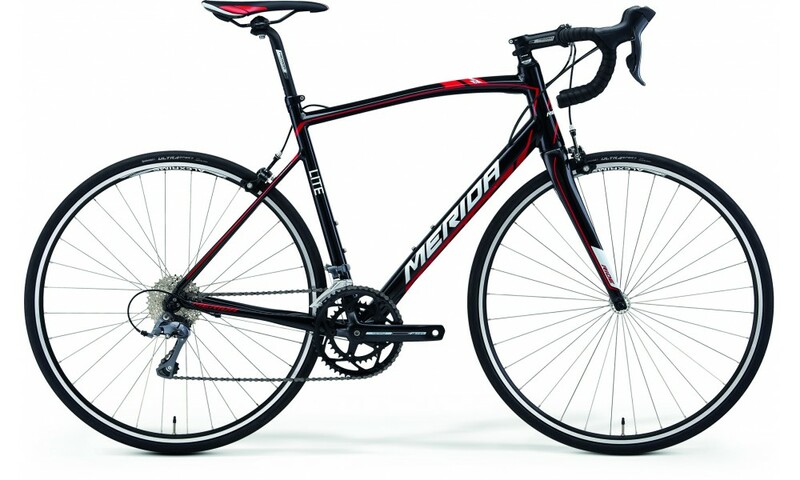 Includes 2x Black Alloy bottle cage bolt..
To be in for a chance of winning a brand new Merida Ride Alloy 90 worth £600, just like our Facebook page and share the competition post on your wall using the button below. One of this year’s best bikes in its price range and it can be yours for free with just a few clicks. Hurry though, the competition won’t run forever!